China’s state-run media recently reported on the ongoing trial of a corrupt official and revealed how he was able to launder bribes he received through banks in Hong Kong— allowing him to escape scrutiny from the authorities and more easily receive bribes from Chinese businessmen. Huang Boqing, former deputy mayor of Huizhou, a city in southern China’s Guangdong Province, had accepted bribes totaling 200 million yuan (about $31 million) during his 23- year-political career in Guangdong, reported the Chinese regime’s state-run media Xinhua on May 23. Huang received his first bribe in 1992 when he was a finance director in the Huizhou government. He received an envelope with 50,000 yuan (about $7,832) in cash while traveling to nearby Hong Kong—which has a separate legal and government system from mainland China—for business. From then until 2014, he had used his positions to provide kickbacks to those who bribed him, including green-lighting projects in real estate development, land acquisition, hydraulic projects, sand mining, and even issuing job promotions within the local government. He also helped his son, Huang Hui, become a representative of Guangdong for China’s rubber-stamp legislature, and later a member of a local county’s People’s Political Consultative Conference, a political advisory body. Businessmen also bribed the younger Huang so they curry favor with the elder Huang. In 2003, the younger Huang received 4.4 million HKD (about $560,660) from a businessman, money meant for him to buy a housing unit in Hong Kong. After getting help from the elder Huang with his business, in 2010, Mr. Gu, the owner of a sand mining company, turned over 30 percent of the company’s stocks to the younger Huang as a token of appreciation. The younger Huang eventually was able to obtain permanent resident status in Hong Kong, and opened several bank accounts to help launder money that his father received as bribes. In April 2015, Huang was placed under investigation for corruption, and four months later, he was disciplined by “shuangkai,” meaning he had been expelled from the Chinese Communist Party (CCP) and stripped of his official title. In July 2015, the younger Huang was arrested by police in Shenzhen. On Nov. 21, 2016, Guangzhou’s People’s Intermediate Court opened trial for Huang. It is not known whether Huang and his son have been officially sentenced. Aside from Huang, two other graft cases involving CCP officials have grabbed headlines this month. 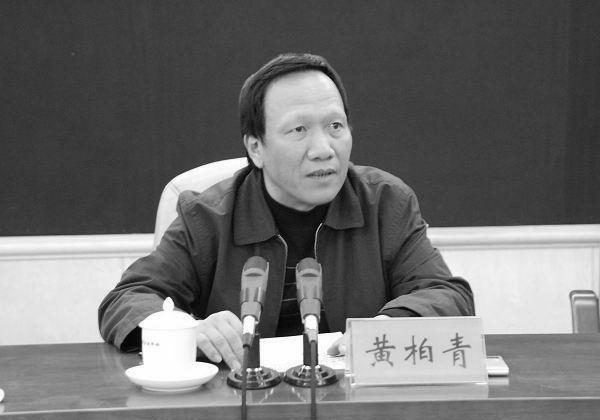 On May 14, Zhao Wanchou, former coal bureau chief in northern China’s Shanxi Province, was sentenced to 19 years imprisonment after he was found guilty of amassing 100 million yuan (about $17.3 million) in bribes. On May 19, Chinese media revealed that Lei Zhiqiang, former finance bureau chief and deputy mayor of Tianshui, a city in Gansu Province, had obtained illicit assets topping about 9.2 billion yuan (about $1.4 billion). Lei’s case has been considered especially stunning given how Gansu is one of the poorest provinces in China.